Interesting facts and trivia can enhance any trip or vacation. Aside from adding nuance to your sightseeing, such tidbits of knowledge bring a touch of flair to the stories you’ll tell people back home. Augusta was established in 1736 by General James Edward Oglethorpe. Augusta was named after Princess Augusta of Wales. Augusta&apos;s elite lived along Broad, Greene and Telfair streets. They were known as “Pinch Gut” for the corseted ladies who inhabited the area. Augusta was twice capital of Georgia. The Medical College of Georgia was the state’s first medical school. 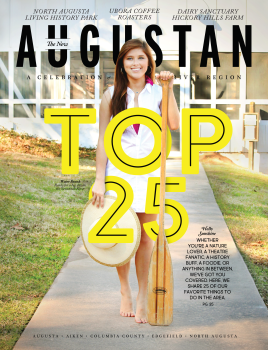 In the late 1800s, Augusta staked out a claim as a resort city. Guests included President William H. Taft, John D. Rockefeller, and Harvey Firestone. Bobby Jones built the Augusta National Golf Club and hosted its First Invitational Tournament in 1934. The great fire of 1916 consumed 25 blocks in downtown Augusta. At least 10 Confederate generals were either born in the Augusta area, called it home at one time, or are buried here. Two signers of the Declaration of Independence are buried in Augusta. The Augusta Chronicle is the south&apos;s oldest newspaper. The Georgia Republican Party and the Southern Baptist Convention were both started in Augusta. Augusta&apos;s Springfield Baptist Church is the oldest independently formed African-American congregation still meeting on its original site. It is also where Morehouse College originated. St. Paul&apos;s Episcopal Church, built in 1749, is the third oldest Episcopal Church in Georgia. Ty Cobb&apos;s baseball career began with the Augusta Tourists in 1904. Novelist Frank Yerby was born in Augusta and attended Paine College before leaving for Europe. Augusta is the home of the "Godfather of Soul," singer James Brown and the famous Metropolitan Opera star, soprano Jessye Norman. It is rumored that George Washington&apos;s dog is buried in Augusta.